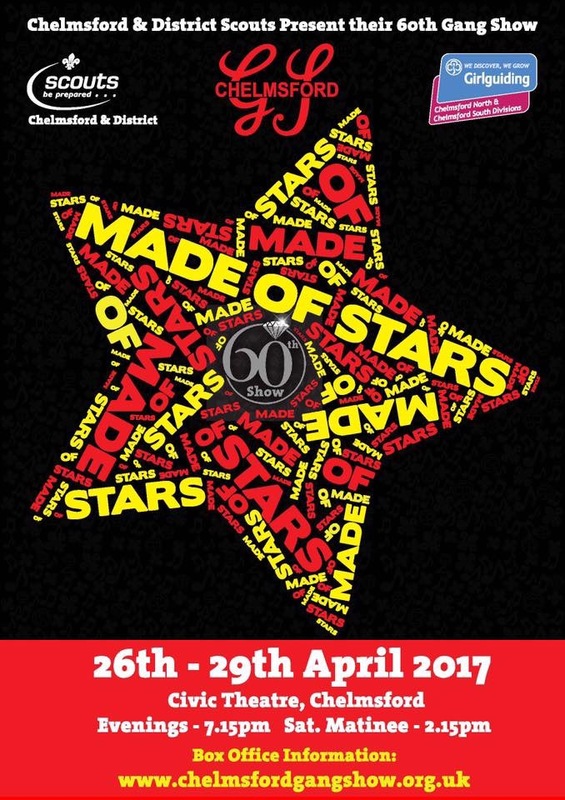 Chelmsford DIstrict Scouts present their 60th Gang Show at Chelmsford's Civic Theatre. The Scouts will perform 26th to 29th April 2017. Evenings 7.15pm. Matinee 2.15pm.